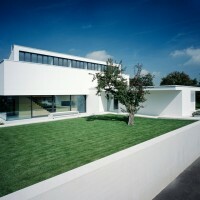 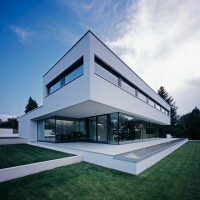 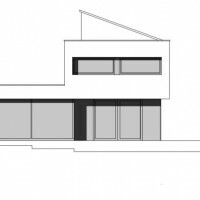 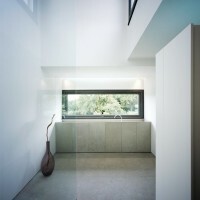 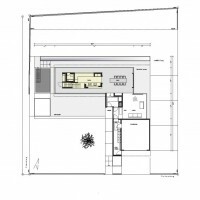 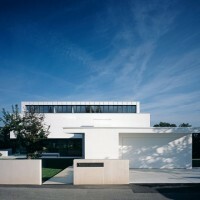 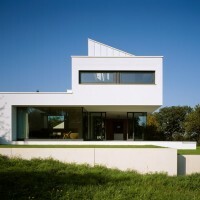 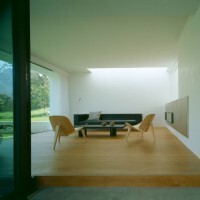 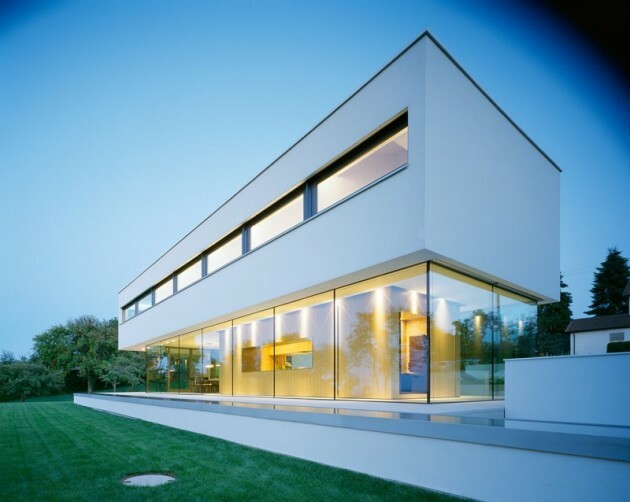 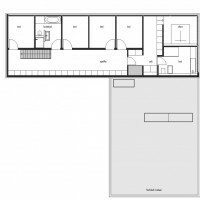 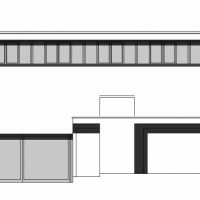 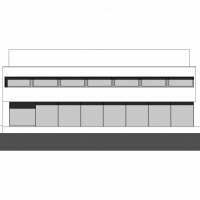 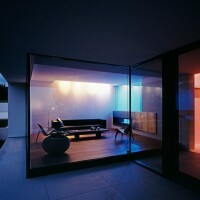 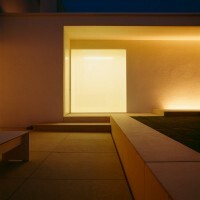 Philipp Architekten have designed House P located in Waldenburg, Germany. 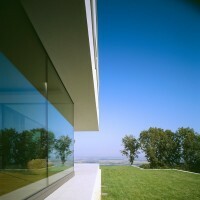 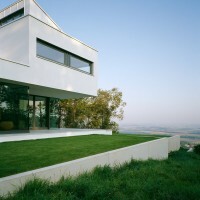 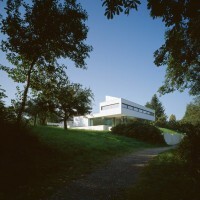 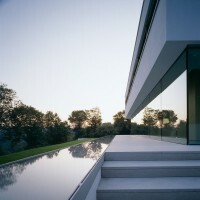 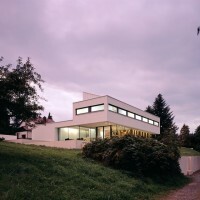 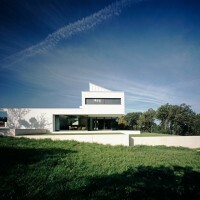 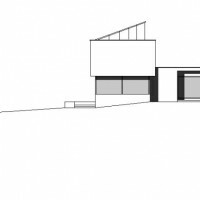 House Philipp is situated on a small mountain ridge in Southern Germany with a view to the north. 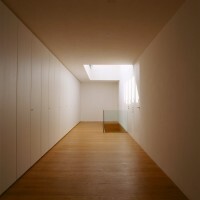 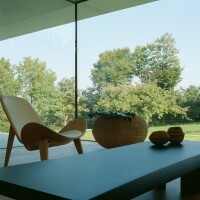 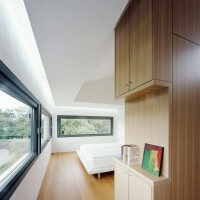 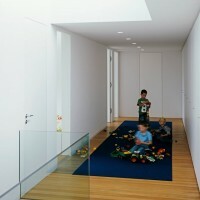 To meet this specific situation, the cube of the main house was completely glazed with frameless windows. 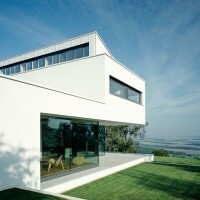 This way the residents enjoy both the sun and the 80-kilometres distant view. 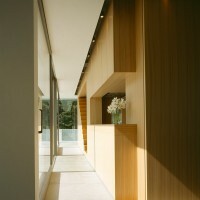 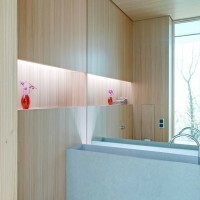 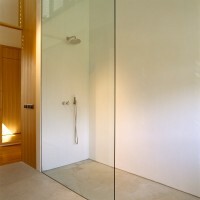 There is a cube placed in this glass box as a key element, completely panelled with Elm Wood. 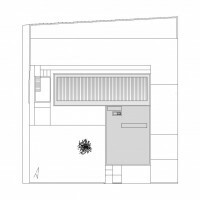 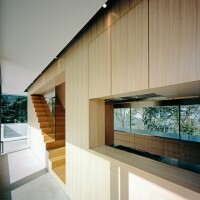 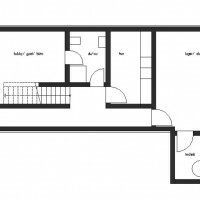 It contains both the kitchen and staircase and at the same time it forms the static backbone for the attic placed on it. 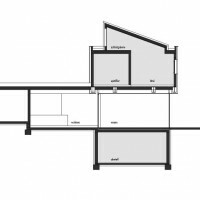 Only few materials as the light gray natural stone, elm or oak wood, and smooth white plaster surfaces determine the ascetic architecture. 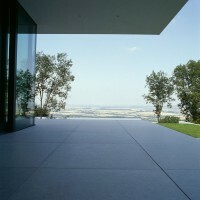 Purism, which even shows in the landscape gardening. 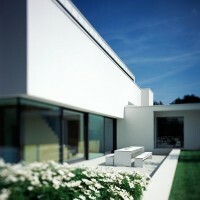 Photography: Johannes Kottjé, Victor Brigola and Oliver Schuster.